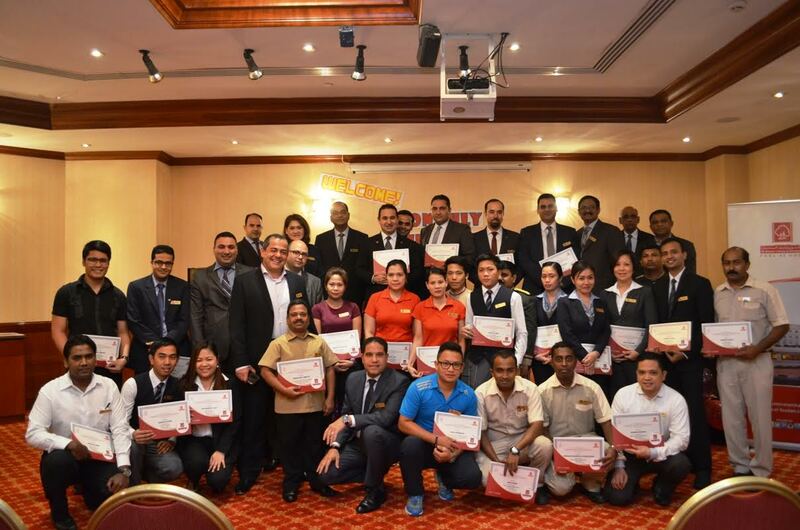 Dubai, UAE: Al Bustan Centre and Residence, the popular hotel-apartment among tourists and businessmen in the heart of Dubai, recently gave recognition to hotel employees who showed exceptional performance for the month. Al Bustan Centre and Residence’s employees acknowledged the hotel employees’ hard work and significant contribution to the hotel’s growth and success. Recognitions were given to ‘Employee of the Year’, ‘Supervisor of the Year’, ‘Associate of the Year’, ‘Star Employee of the Year’, and ‘Cleanest Room’. Employees from Housekeeping Department received the Star Employees award while Security and Health Club Department bagged the two special awards including Supervisor of the month and associate of the third quarter of the year. The evening was capped with a party for employees celebrating their birthdays with cake cutting as a yearly tradition in the hotel. A home away from home, Al Bustan Centre and Residence offers traditional Arabian hospitality in the heart of the city. For more information and further details, call Al Bustan Centre and Residence at 04-2630000 or visit al-bustan.com.